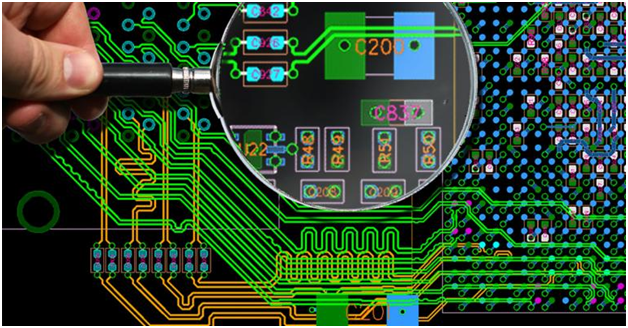 PCB manufacturing is not a simple process. It has so many individual components to manage and to process. The absence of one component could delay the entire production of your PCB and may even cost you money. One of the most important components is the Gerber file which essentially describes your PCBs’ layout, layers, design, solder mask etc. The Gerber file helps in the fabrication of your PCB. Here we will discuss the top seven most common mistakes regarding Gerber files that can delay your PCB production and exactly how you can avoid them. An aperture list contains the description of the shape and size of the tool used to create pads and tracks. The Gerber file should contain a single aperture list for all layers rather than separate. It is best to not modify the aperture list your software outputs. When 274X format is used, the aperture list is contained within the Gerber file. If you use a 274D format, keep in mind the layout packages also output an aperture list. Some extensions include .rep, .apt, and .apr etc. The 274D files require the aperture definitions to be entered manually. Excellon drill files are used to drive CNC drilling and routing machines in PCB manufacturing. They determine what sized holes are to be drilled where. Tool information can also be specified in the drill file or separately. Plated and non-plated holes are included in one drill file. It should be in ASCII (Odd/ None) format, should have 2.4 trailing zero suppression, English units and no steps or repeats. A tool list is essentiallyused in combination with the Excellon drill file. The drill file will specify where the holes are to be placed while tool list specifies which tool is to be used. As mentioned before you can either embed your tool list in the Excellon drill file or send it separately. If you use a tool list provided on a fabrication drawing, it will most likely increase the chances of error. Keep in mind that if your layout software outputs an Excellon drill file, it will also output a tool list, extensions include .tol and .rep. Yes, this is also a common mistake. Gerber files are the most important part of your PCB manufacturing, without them your PCB can not be manufactured. Your Gerber file can be in 274X or 274D format, while English units are preferred. Some manufacturers can also convert your files from other formats to Gerber format. 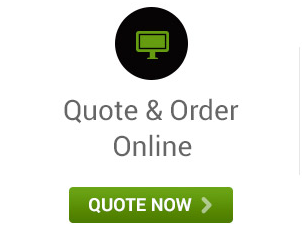 For this, you should check the company’s requirements before placing your order. An annular ring is the area that surrounds the via on the pad. The width of this annular ring is important as a proper annular width length means good electrical conductivity between pad and hole. For example, a .030" pad with a .020" hole would have a .005" annular ring width. For manufacturing, we typically use a minimum of .005" annular ring for vias or a minimum of .007" for components holes.In order to maintain proper copper spacing you should set sufficient annular ring in your layout software. Copper spacing is the minimum spacing or air gap between two adjacent copper features and trace width is the minimum width of the copper tracing. You should keep a minimum of .005" trace width/spacing. Layout packages usually provide this as a DFM (design for manufacturability) check. You should always set sufficient trace width and spacing in your layout software. Inner clearance is the minimum distance from the edge of a hole to any surrounding unconnected, inner copper layer. Providing sufficient inner clearances helps to ensure that drilling will not cause any shorts to the inner copper layers. This is important for plated and non-plated holes alike. Preferred inner clearance is of .015" and minimum should not be below .010". Upload Your Gerber File and Get Your PCB.